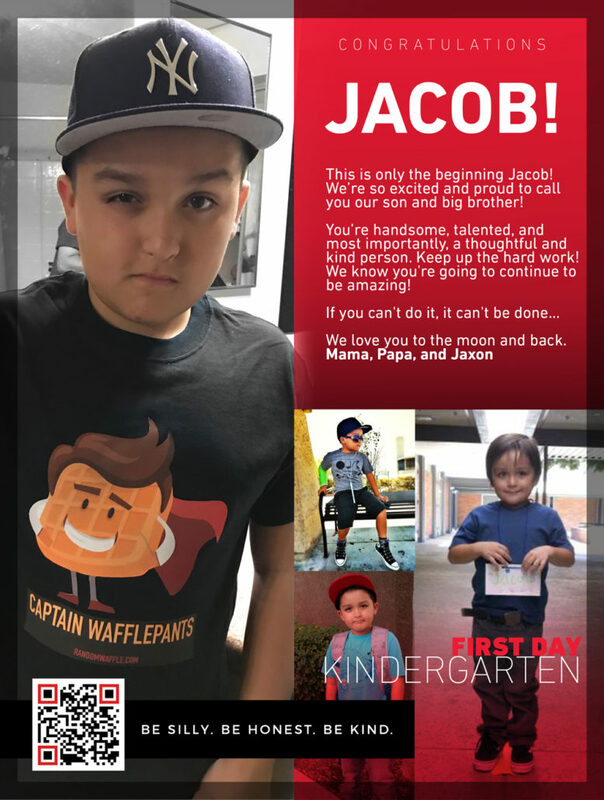 This is only the beginning Jacob! We’re so excited and proud to call you our son and big brother! We love you to the moon and back. Mama, Papa, and Jaxon! Scroll down to see special video messages! Uncle Jesse, Auntie Angela, Haylee, & Jesse! Mrs. Lorneco – Jacobs Kindergarten & First Grade Teacher.